Is your profit margin falling fast? Is the cost of billing on the verge of running off charts? With the ever-increasing competition, pharmacy billing presents myriad of new and complex challenges that can't be solved by using technology alone. If you want billing functions to be handled with agility and precision it is crucial to outsource pharmacy billing to specialists like us. Outsoure2india is a cradle of world-class billing solutions. We offer advanced pharmacy billing services that will cleanse your spending and quicken the turnaround time. When you outsource pharmacy billing to us we ensure utmost accuracy in understanding third-party relationships, applying contracts, billing, and reconciliation. With the goal to bring better value to pharmacists, we streamline our solutions to take on the present and future challenges in pharmacy billing. Also known as admissions, this is the initial step in the pharmacy billing process. It is a resource-intensive process where we capture patient details such as medical history, medical reports, previous prescriptions, doctors visited, etc. Our professionals are specialized at executing this task with speed, confidentiality, and accuracy. Once the customer makes a medical claim, you need to document essential information such as diagnosis & treatment summary, doctor's contact details, change of physician (if any), patient reports, patient discharge summary, etc. Our enumeration services will accurately document the patient and payment records to speed up the medical claims process and provide a daily census update. Our specialized authorization team can handle a variety of drug classification and pharmacy codes with precision. Our billing systems are designed to ensure that authorizations are acquired ahead of the billing. This drastically lowers claim denials especially when patients are subscribed to complex health plans. We take care of refill management by assisting patients and repeat customers in need of quick and efficient meds refill. To keep your clients happy we follow service pharmacy code guidelines to process refills without delay. Additionally, we also send timely reminders for refills. All unbilled services impact the provider's revenue generation. To prevent this we ensure that each and every pharma service provided to clients are comprehensively billed without lapse. We also follow-up with patients and providers to ensure that payments are transacted on time. We automate what is unarguably the most labor-intensive activity in pharmacy billing services. From cutting the time spent on data entry to streamlining manual payment postings, our solution will ensure that reimbursements are appropriately accounted on time. Why Choose O2I's Pharmacy Billing Services? Dealing with a prodigious amount of confidential clinical data is no easy task. So, we have in place a string of physical and digital security measures that would allow us to handle your client data in a secure manner. By working with an offsite pharmacy billing services provider like O2I, you can scale your service by 85% and get the best ROI. We are a forward-focused company that is devoted to providing services that not only solve existing problems but also future ones. You can save close to 35% of costs by partnering with O2I. Our cost-effective pharmacy billing services will help eliminate errors in the documentation and filing without compromising the speed of service. I wanted to inform you of what a great job O2I is doing for our firm. Vinoth Kumar and his team have done amazing work & are extremely reliable. We definitely consider O2I a part of our strategic plans moving forward. Initially, we needed to get a feel of your services & expertise in order to move forward on other enterprise accounts, & now we have the confidence in doing so. Thank you to you for all of the help over the year! Ourtsopurce2india is an ISO certified company backed by 19 years of experience in medical billing & coding services. 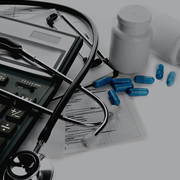 We are a leading provider of pharmacy medical billing services in India with a global footprint. Our services are the latest benchmark in healthcare billing. If you want a reliable service that transforms your revenue generation we are professionals who can help you. Our HIPAA compliant billing methodologies will spare you from the hassles associated with pharmacy billing. Reach us now to select the services that fit your budget and expectation. We are happy to hand walk you through the billing process, so you can get paid quickly.